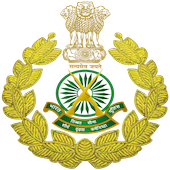 Indo Tibetian border Police has published Advertisement for below mentioned Posts 2018. Other details like age limit, educational qualification, selection process, application fee and how to apply are given below. Age Limit: Not exceeding 30 years. Crucial date for determining the age limit will be the closing date i.e. 11th September, 2018 (11/09/2018). Candidates should not have been born earlier than 12/09/1988 and later than 11/09/2000. APPLICATION FEE & MODE OF PAYMENT: Male candidates belonging to General (UR)/OBC category applying for recruitment to the above posts should pay Rs 400/- (Rupees Four Hundred only) as application fee through online payment gateway system on www.recruitment.itbpolice.nic.in. Application received with any other mode of fee payment will be summarily rejected. Candidates belonging to Scheduled Caste, Scheduled Tribe, Females and Ex-servicemen are exempted from paying the fee. Fee once paid will not be refunded under any circumstances. Fee paid by modes other than above will not be accepted and the applications of such candidate will be rejected forthright and the payment made shall stand forfeited. Selection Process: Candidates will be selected based on PET, PST & written examination.